Taiwanese Beef Noodles are the comfort food you need to know about. It’s all about the broth, a rich soup that when cooked right – usually meaning over a very long period of time - can be transformative in its richness and subtlety. Cū diàn tang does Taiwanese beef noodles. They haven’t been around for long – they popped up in my neighborhood earlier this year - but they’ve got a nice little space. They keep it simple and do two different types of beef soup noodles; the standard Beef Noodles, and Sliced Beef Noodles. Both are RMB 38. I’d strongly recommend the standard bowl. It’s mostly an issue of texture. The meat in the Sliced Beef Noodles is tougher, a little more work for the teeth. 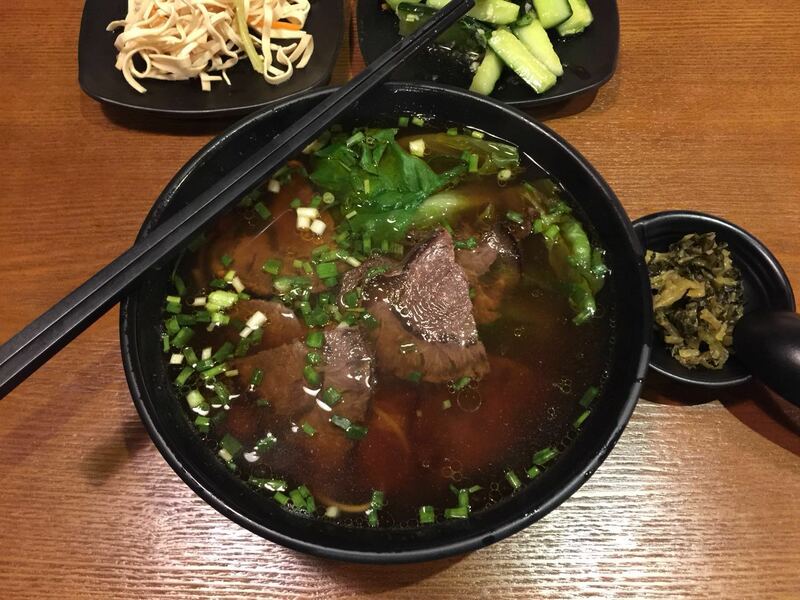 The chunks of beef in the Beef Noodles melt in the mouth almost indecently easily, blending with the deep animal flavors of a broth that you just know has spent a lot of time getting to know a cow’s bones. To be clear, these aren’t cheap. Liu Dao Men is around the corner serving up some of the city’s best Sichuan noodles for around two thirds of the cost of these. But they’re something different, and something very nourishing. You’ll get a good five or six chunks of beef in your bowl, and the way they slip apart in there you’ll taste them in every bite. It’s beef soup for the soul. They also serve up “Beijing-style” dry noodles (RMB 20) that you mix up yourself with a and fermented sauce and some grated cucumber. They’re fine and pack a decent amount of fermented flavor, but they just aren’t as good as the beef soup ones. An OK option for if you’re feeling frugal and aren’t feeling like a piping hot bowl of soup. Make sure to mix them well to make the most of them. 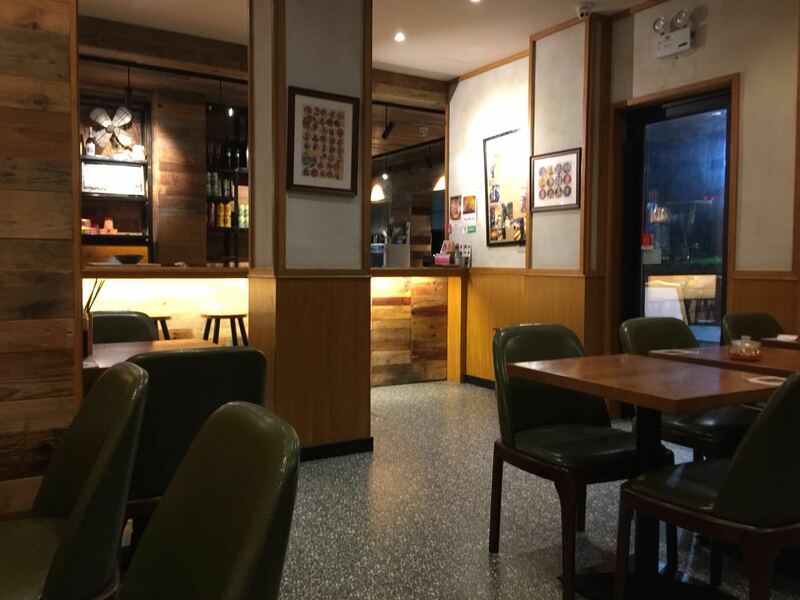 In addition to silken chunks of beef, one thing that separates this spot from other noodle houses – and also makes it a little better as a date / dinner-for-two place – is the quality of the small side dishes they offer. They’re nothing fancy; generally just salty little bites that are made with decent ingredients. Dried Tofu Salad (RMB 8) generously slavered with sesame oil. Cucumber lightly pounded with garlic (RMB 8). Marinated firm tofu that’s earthy and drizzled in sweet, sticky sauce (RMB 8). Stinky Tofu (RMB 15) that is gently stinky; an easy introduction to the stuff. 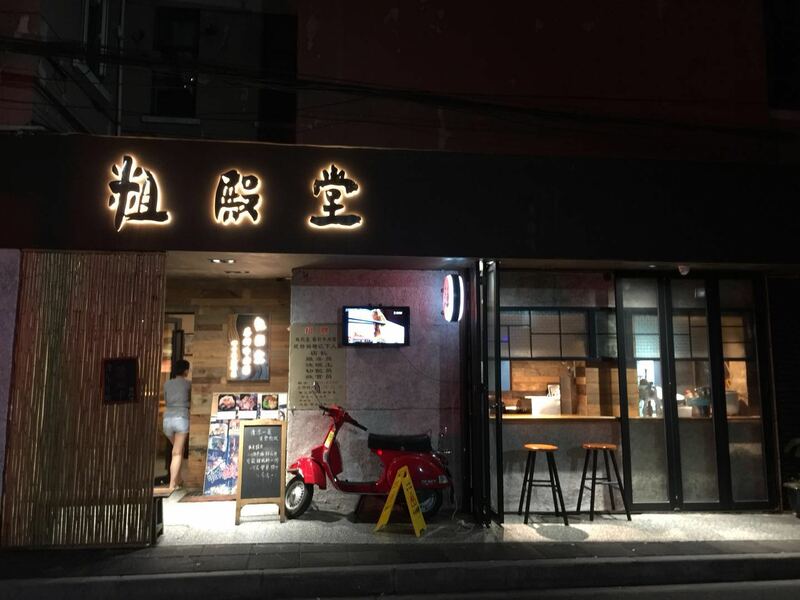 They also do a killer fried pork cutlet (RMB 18), and a sliced Taiwanese sausage served up with thinly sliced raw garlic (RMB 15). Have a slice of each per mouthful. It’s great. Nothing fancy, and nothing big. 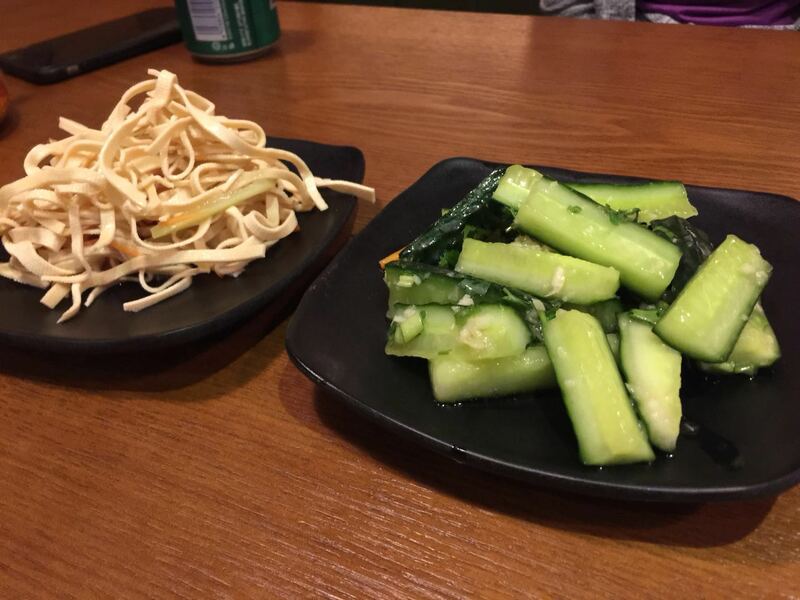 But a couple of extra plates can liven up the meal for under RMB 10 a person. It’s a nice touch. But yeah, if you’re getting one thing, get the Beef Noodles. The atmosphere here is fine. It’s clean, and pleasantly decked out with plenty of wood. Mostly, though, it’s quiet; not many people seem to be stopping by. It might be a matter of price, as these aren’t the cheapest noodles in the neighborhood. Still, I hope that changes. These noodles deserve it.